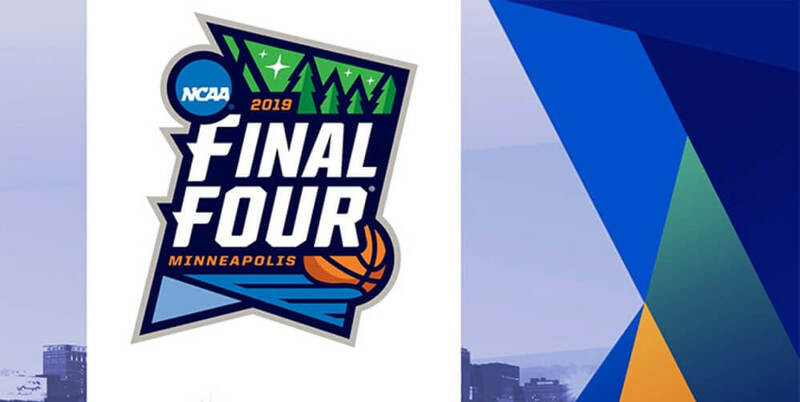 VIP-bet.com | Latest News | Sweet 16 Starts Tonight! Home I Latest News I Sweet 16 Starts Tonight! The NCAA Men’s Basketball Tournament is in full swing! 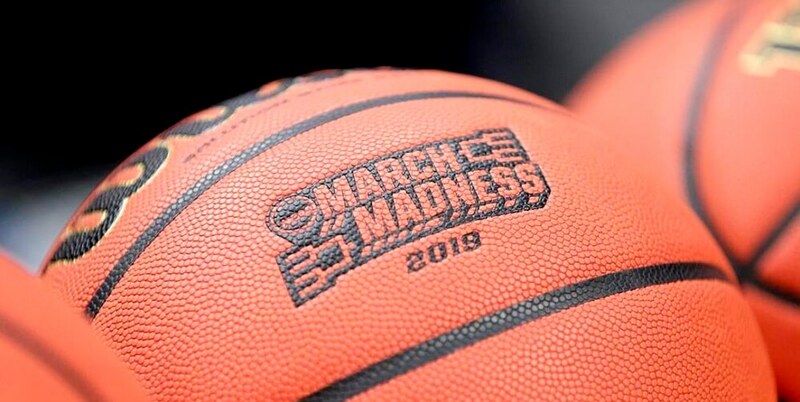 In case you missed it, March Madness kicked off last week and we’ve got some great matchups coming up for the Sweet 16 round. In the first round of the tournament, we saw the top 64 teams in the country battle it out in a whirlwind of college hoops. Duke, UNC, Gonzaga, and Virginia—all No. 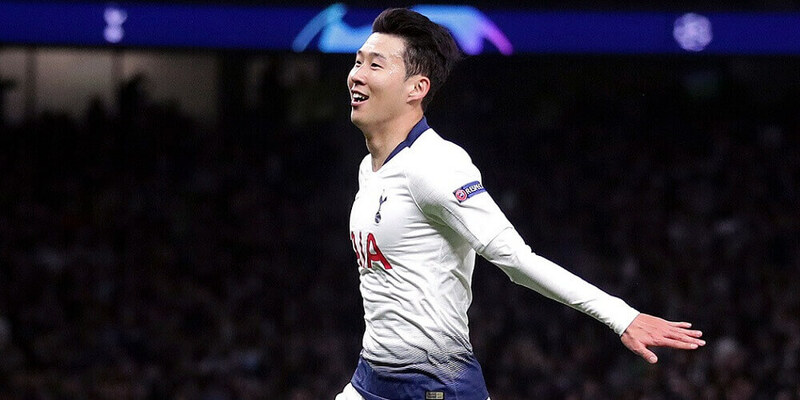 1 seeds—were victorious. Surprisingly, there were hardly any upsets. We saw a few No. 12 seed teams beating their No. 5 seed opponents. Liberty beat out Mississippi State, Murry State topped Marquette, and Oregon dominated Wisconsin by nearly 20 points. Oregon went on to be the only No. 12 team to make it to the Sweet 16. The biggest surprise of the first round was No. 4 Kansas falling to No. 13 UC Irvine. The second round of the tournament gave many fans of college basketball a collective heart attack when 9th ranked University of Central Florida came within seconds of defeating the powerhouse Duke squad. UCF just kept battling back every time Duke got a toehold thanks to guard Aubrey Dawkins. In the final 45 seconds, with UCF in the lead 76-73, Zion Williamson drove to the hoop, making the layup and fouling out UCF’s giant, Tacko Fall. Williamson missed the free throw chance to tie the game but RJ Barrett got the rebound and the putback to take Duke up by one. UCF would have 2 chances to win with one second on the clock but the ball just rolled all the way around the rim and slipped out. For Duke, Williamson had 32 points and 11 rebounds, and was 5 for 7 on 3-pointers. The 23 year old junior Dawkins matched his 32 points in a performance that has gotten him NBA attention. The battle continues to determine this year’s NCAA National Champion with the Sweet 16 round. Eight games will determine who makes it to the Elite Eight. In the East, we have Duke/Virginia Tech and LSU/Michigan State. The West features Gonzaga/Florida State and Texas Tech/Michigan. The South division will see Virginia/Oregon and Purdue/Tennessee. And finally in the Midwest, North Carolina takes on No. 5 Auburn and Houston plays Kentucky. 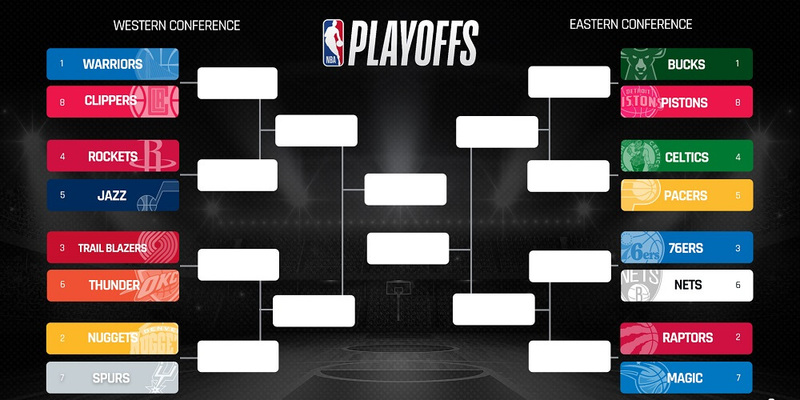 The top 3 seeds from each division are still in the hunt, so we can expect some compelling basketball in this round. I mean, you should probably watch all the games, but make sure you don’t miss No. 1 Gonzaga vs No. 4 Florida State. It’s a repeat matchup of last year’s Sweet 16, where the FSU Seminoles beat the Gonzaga Bulldogs by 5. FSU is going into the game as 8-point underdogs with the total at 147 points at Intertops. These teams are quite evenly matched, but the Bulldogs are just ever so slightly in the advantageous position. Gonzaga led the NCAA in scoring but had an easier schedule than Florida State during the regular season. Betting on the over has been profitable for both teams lately, with Gonzaga going over in 5 of their last 8 and FSU achieving that stat in 4 of their last 7. However, in those last 7 games for the Seminoles, they’ve only gone over 147 points one time and the Zags topped 147 every time they went over in their last 8. Watch out for Gonzaga’s Brandon Clarke, who had 36 points, 8 rebounds, 5 blocks, and went 15-of-18 shooting in last round’s game against Baylor. FSU senior guard Terance Mann has been rock solid for the Seminoles this post season but do not take your eyes off sophomore Mfiondu Kabengele. He put up 21 in their first round contest versus Vermont and packed on 22 points off the bench last round against Murray State. The matchup tips off the Sweet 16 round with a 6:09pm start from the Honda Center in Anaheim, California. The odds to achieve a perfect bracket are really something. 1 in 9,223,372,036,854,775,808 (that’s 9.2 quintillion). 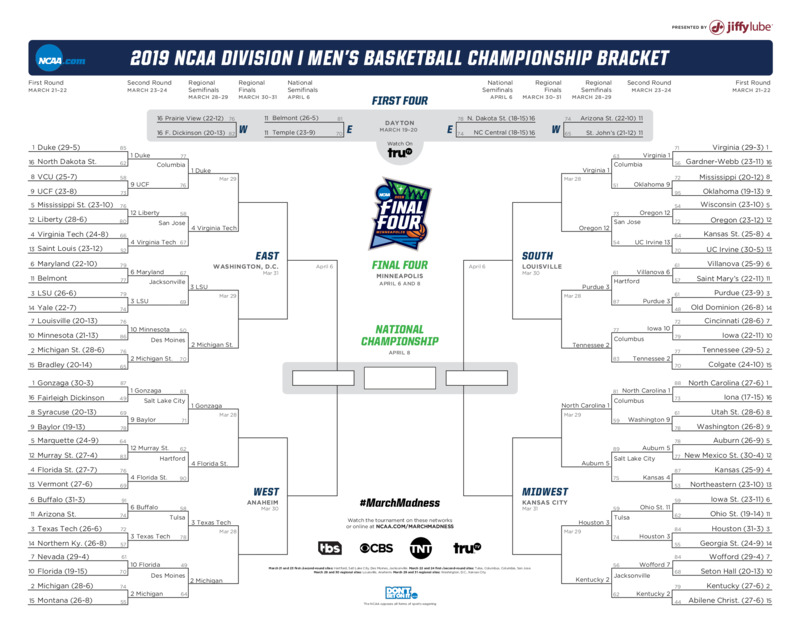 In the history of filling out NCAA tournament brackets and submitting them online, no one has ever reached this perfection. 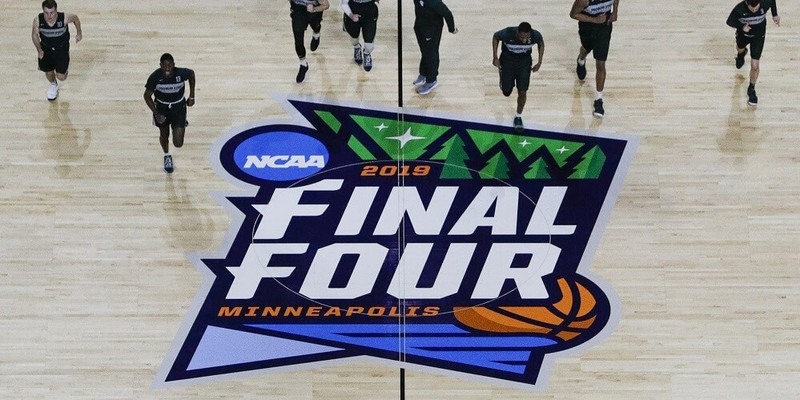 This year, one man’s predictions have remained pristine as we head into the Sweet 16. Gregg Nigl, a 40-year-old neuropsychologist, has picked every game correctly so far, going 48-48. The previous record was 39, making his 2019 bracket the longest verifiable perfect run in the history of the NCAA tournament.